When one or more teeth are missing and there are healthy teeth on both sides of the empty space, Upland same day dental bridges are a good tooth replacement option. Removable dentures are the more traditional prosthetic consideration when there are not enough healthy teeth to serve as support or abutment. Tooth bridges, on the other hand, offer a more conservative treatment that preserves the health of teeth and bone. The bridges are installed on existing teeth so that artificial teeth can be provided. 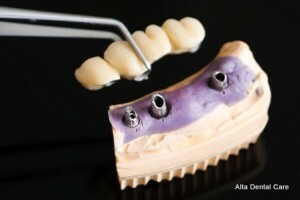 Our same day dental bridges can be made from different materials. Bridges can be made out of solid gold (for longer wear), porcelain fused to a gold or metal base for better strength, and metal-free porcelain bridges for the best cosmetic results. The decision that one makes in terms of materials will depend on patient priority and preference. With proper oral hygiene and care, your fixed bridge will increase your oral health and increase your confidence, and it will also prolong the life of the prosthesis. If you are considering getting dental bridges, it is important to have in mind that bridges are highly recommended as permanent replacements for missing teeth. 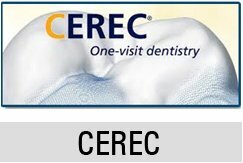 Unlike removable dentures or the more modern dental implants, there is a necessity for the adjacent teeth to be prepared. Such compromise is going to be worth it because the results of having Upland dental bridges can be quite beneficial to the patient. Call 909-985-6116 today or make an appointment online with your Upland dentist, Dr. Zaveri.